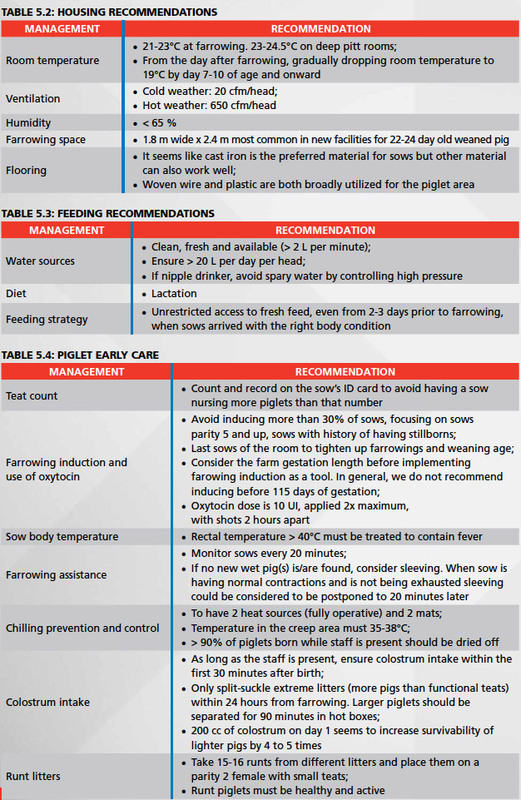 This section provides recommendations for farrowing management. 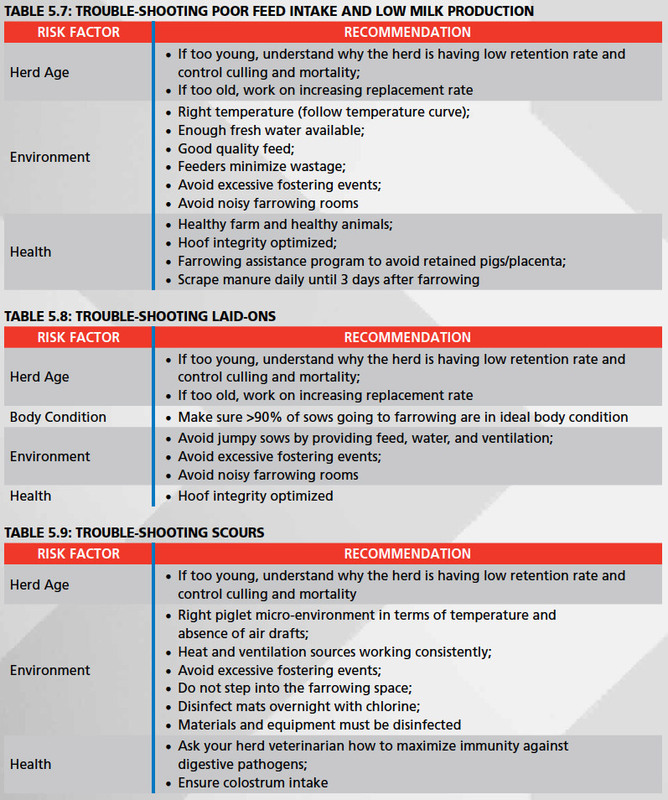 These recommendations aim to optimize throughput and quality of weaned pigs, while managing sows in a way that will allow quick and efficient return to estrus post-weaning. Executing the right management at the right time has become more important to maximize piglet conversion with good quality pigs at weaning. The topic of weaning age and lactation length usually generates debate and it is unlikely that consensus will be achieved soon. It is generally accepted that longer lactations tend to produce a heavier piglet at weaning and a better reproductive performance in the sow’s subsequent cycle. PIC adds a complementary view: higher feed intake in lactation is the factor most correlated with high performance in the subsequent cycle. 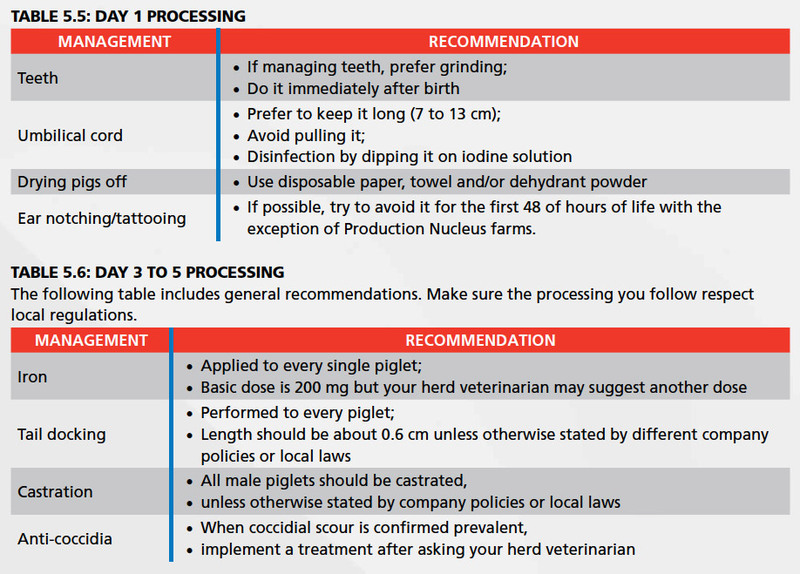 Our recommendation is avoid weaning individual piglets before 18 days of lactation, with a minimum average of 21-23 days. 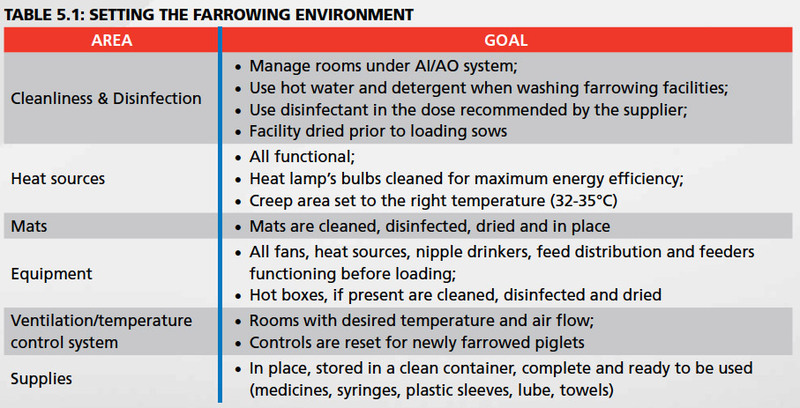 It is very common to find the following three concerns or issues in the farrowing house: low water/feed intake in sows, scours and elevated PWM.